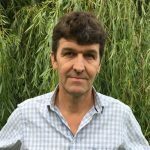 Roy is a highly experienced and widely regarded M&E engineer in the Education Sector, with four decades of relevant experience, especially regarding biomass and conventional plant. He has an Honours Degree in Mechanical Engineering and has been a Chartered Engineer since 1988. He has also been a member of the Chartered Institution of Building Services Engineers (CIBSE) for 30 years. He is a heating, ventilation and air conditioning (HVAC) specialist working on schools, commercial buildings, nursing homes and domestic buildings. 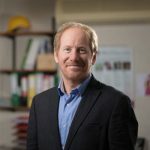 He specialises in the design and installation of district heating systems running on conventional and renewable technology, such as biomass. He has worked on large scale commercial projects as a site supervisor, including The Zayed Sports City Stadium in Abu Dhabi in the late 1970s and The Millennium Dome in the late 1990s. He also has many years’ experience of surveying and the witnessing of the commissioning of HVAC systems.